Matter of Trust has partnered with Music Team SF in San Francisco, California. This organization is also seeking gently used instruments of all kinds for the children in their after-school inner city youth orchestra program. Music Team SF is founded on the El Sistema principles. 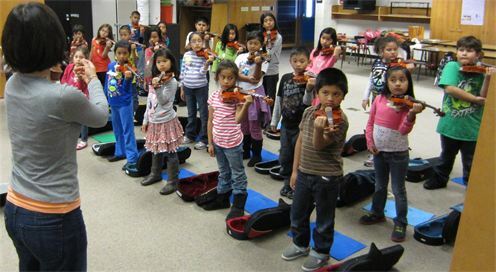 El Sistema started in Venezuela and is now replicated all over the world, changing the lives of under-served children by engaging them in an intensive, multi-year after-school music education programs and performances. If you have any instruments that you’d like to donate (or if you’re in another music program—we would love to partner), please sign up to our free and easy Excess Access program to post an item for donation or make wishes for them. For broken instruments also see our Music Matters program.